Saturday afternoon. I’m in the shopping centre to meet friends for coffee at Myer’s. To talk teaching. We do this periodically. I’m early. I bypass pots, pans and platters. I gravitate to books. Children’s books. I’m amazed at the increased number of ‘early learning’ books that are tightly packed onto the shelves. Books about the alphabet. Numbers. Colours. Shapes. Spot a familiar character. Grug, face out on the shelf. But I don’t know these two books: Grug Abc and Grug 123 Numbers. I pick them up and turn the board pages. Aahh… Ted Prior’s simple, colourful illustrations in the alphabet book. Clear, black text. Perfect for beginning readers! A Christmas gift idea? Grug Abc is new to me! Number book. One big red apple. Two yellow flowers. Five balancing rocks. Eight tall trees. The colourful, precise and thoroughly delightful Prior illustrations are familiar. Perfect for counting by ones and one-to-one correspondence. Another gift idea? I immediately think of our basket of Grug books at school. Our basket of Grug books - accessible all year. I love Grug books because of the simple, humorous story lines and the appealing, uncluttered illustrations. I love reading them to my Year Ones. We have fun. And the children laugh out loud! 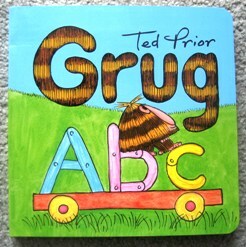 There’s another reason I love Grug books; they are ‘easy’ to read for children who are on their way to reading. There are challenging words in these books but children’s familiarity with the stories and the clear illustrations make it easy for them to read the pictures… read the words and re-tell the stories. 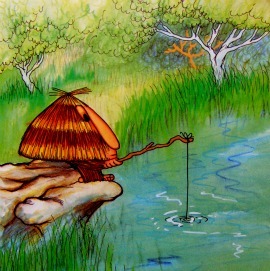 Grug Goes Fishing is one of the funniest – and one my favourites. Grug books were first published in the eighties. Each Year One class I’ve had since then, loved Grug books. 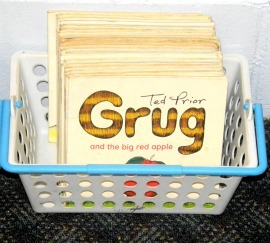 Our basket of Grug books stays in the classroom all year because children who enter Year One as readers, can read Grug. And as other children grow into readers, they read Grug. A book for all seasons! 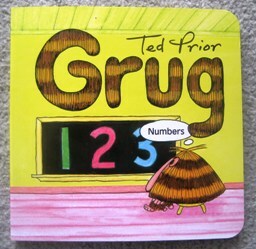 Grug is on my list of 10 ‘must have’ picture books for my Year One classroom. You’ll find my top 10 list and synopsis of each book here. Print the list off, put it on your fridge and share it with your friends. Grug ‘as an old friend’ is a delightful way to describe the Grug books – especially since ‘he’ does all sorts of everyday things that kids and adults do! I remember when N was ‘stuck’ on Grug books! What is he reading now?